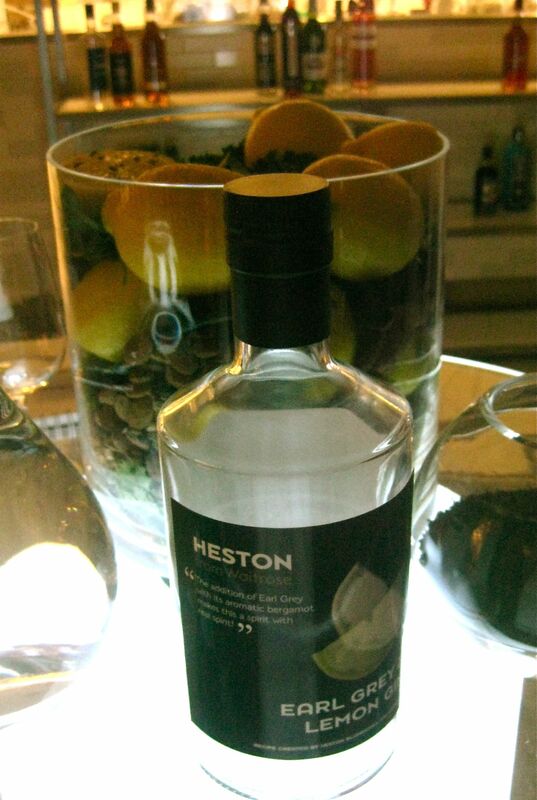 The new gin from Heston. 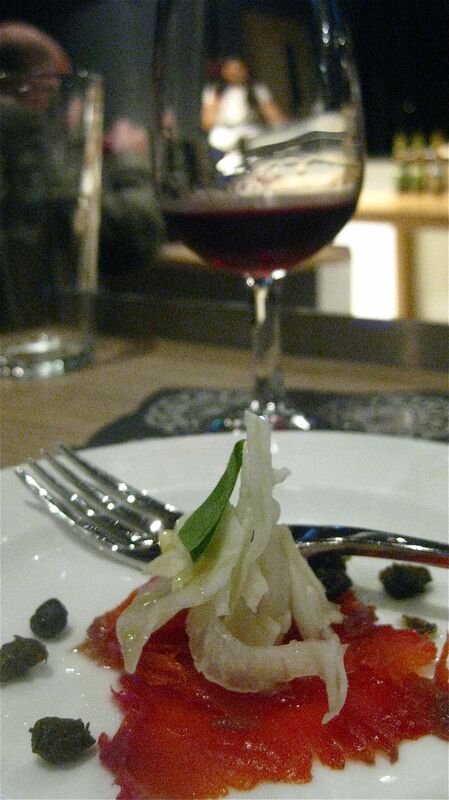 Pairing food and drink is becoming a particular interest of mine. I love playing around with how a food tastes when paired with one wine or another or, even more so, with one whisky or another. And it’s something I’m seeing more and more companies and restaurants taking on board. We’ve suddenly moved past simple wine and cheese matching, into whisky and food, and beer and food combinations. 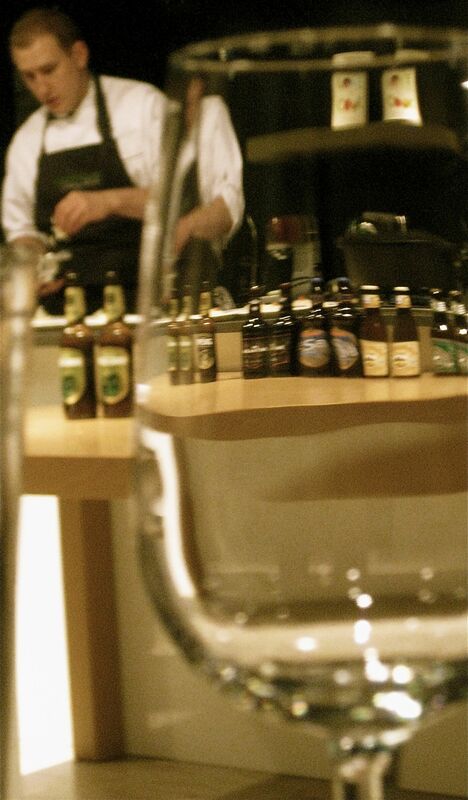 Recently, I was invited to try out some of the new collection of beers and spirits being released by Waitrose. And while it was rather delightful to have access to a room full of whatever alcohols I fancied trying (including the new earl grey tea and lemon gin being released by Heston Blumenthal) I was mostly keen to check out its food and alcohol matching class. On hand to take a group us through the various matches were Alex Buchanan, marketing manager of Thonbridge Brewery, along with Jamie Baxter and Alex (the new distiller) from Chase Vodka, along with chefs from the Waitrose cookery school. We started out with a damson vodka infused wild salmon gravalax with a fennel salad paired with the Sipsmith damson vodka. The vodka was served icy cold and the fruitier flavours were meant to bring out the fishy and acidic flavours in the dish. While I enjoyed it, I found the damson vodka too sticky and jammy for my taste buds, but I bet a lot of people who enjoy densely sweet drinks would like this match. We then moved onto Thornbridge’s Wild Swan ale matched with dressed crab. This, for me, was a glorious coming together of flavours. The ale is crisp and wheaty, with hints of lemon and grapefruit, which really brought out the fishy goodness of the crab. I recommend! The next two dishes – a rich meat stew and a sausage stew – were paired with a few beers. The former matched, for me, best with the Fuller’s ESB because, while the ale is malty and rich, it has fruitier flavours which helped to cut through the intensity of the beef. The latter, meanwhile, paired perfectly with the Beglian Tripel Karmeliet (one of my favourite beers) due to the yeasty sweet flavours in the beer, which helped accentuate the slightly sweet flavours in the dish. The event was finished off with a pairing of one of the most gorgeous trifles I’ve ever tasted (concocted from roasted panettone soaked in gin, with jelly, gin-soaked figs and spices) and Janneau Armagnac. This was, quite simply, gorgeous. And while I don’t normally opt for puddings when out, if this were in a restaurant I would happily snap it up. Matchings such as these are taught at the Waitrose Cookery School’s cocktail and canape class, which the company says is about “showing customers how versatile spirits can be.” But it also does classes on more traditional matchings, such as a wine and gourmet food class coming up on 10 October, which is being put on in conjunction with the Wine & Spirits Education Trust. After trying all the lovely foods and innovative drinks coming from British distillers and brewers, I felt thrilled to learn of new things I could try at home. And I recommend all of you to give it a shot (or, if all else fails, have a shot) – whether in a class or at home. It’s a great way to learn about flavours and how your personal palate responds to different groups of foods and drinks. Plus, you’ll probably have a rather pleasurable time doing it!